True Detective is a strangely fascinating show. Sometimes I feel like I’m not smart enough to understand it, but then it hits you with some hauntingly evocative Louisiana vistas and I just keep on watching. 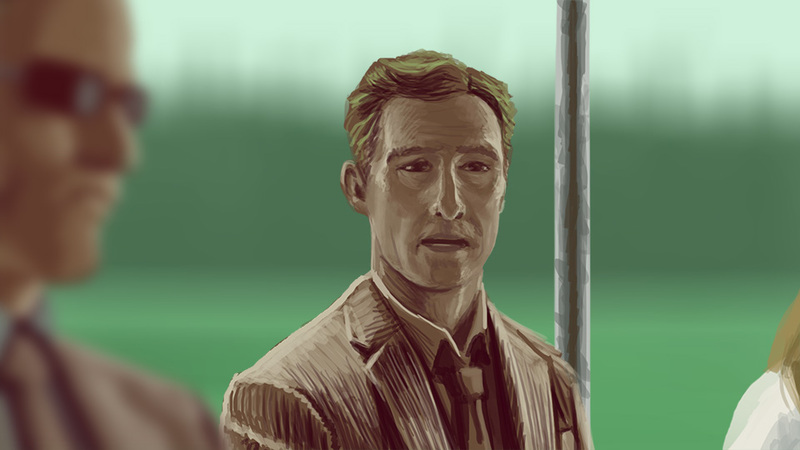 Drawing Matthew McConaughey is not easy. He turns into Arnold Schwarzenegger too easily with a few wrong lines. I’m not too happy with the likeness but the lighting turned out fine and it’s not like it needs to be perfect so there it is.